Dome of the rock and the Muslim Quarter view from Damascus Gate in Jerusalem old city, Israel. hd00:19JERUSALEM, ISRAEL - MARCH 28: Thousands of Jews practice the Priestly Blessing (Hebrew - Birkat Cohanim) at the Western Wall plaza during the Passover Holiday, March 28 2013 in Jerusalem, Israel. hd00:21Jerusalem/ Israel-10102018:the Western Wall in the old city of Jerusalem, israel. sd00:08Iran. February 20, 2009. Roofs of buildings in Yazd. sd00:31RAY, TEHRAN, IRAN - CIRCA 2005: A driving shot showing the Shah Abdol Azim Shrine with its golden dome. The shrine contains the tomb of Abdul Adhim ibn Abdillah al-Hasani, descendant of Hasan Ibn Ali. 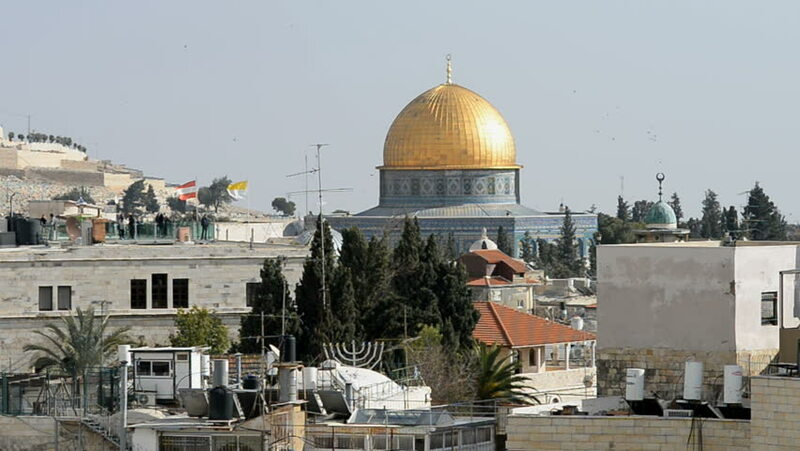 hd00:39Dome of the rock, Jerusalem, Israel, Asia.